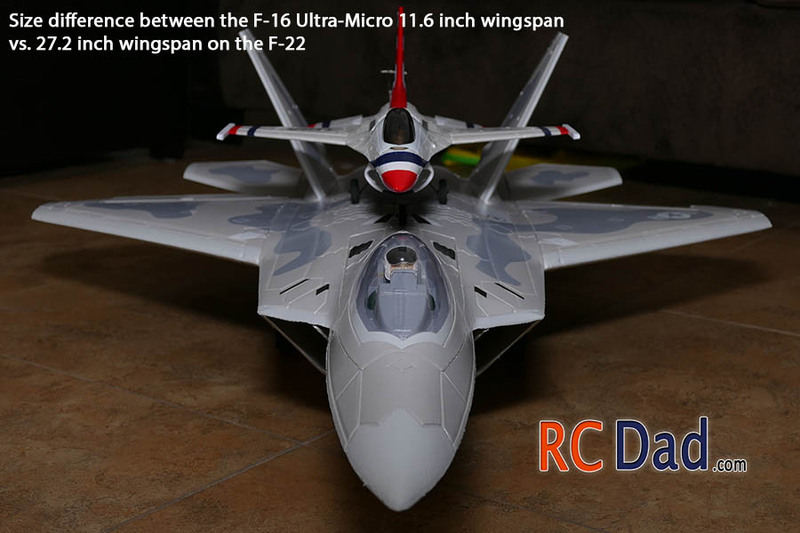 Review of the UMX F-16 RC plane. 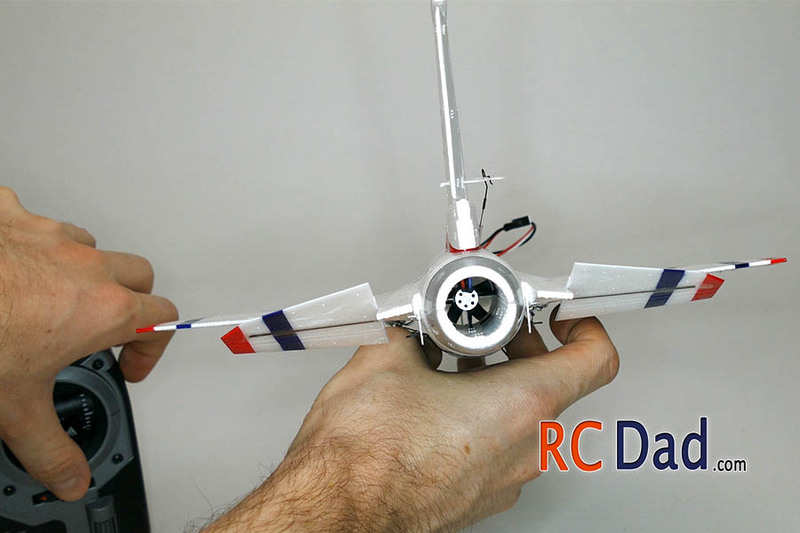 This ultra micro ducted fan jet is not for beginners! Just because it’s small and has AS3X to help with stabilization it does still require some experience. If you have experience flying rc planes and want to learn ducted fan jets, then the UMX F-16 is a great start. With ducted fan jets, even a little mistake can quickly end up in a crash. 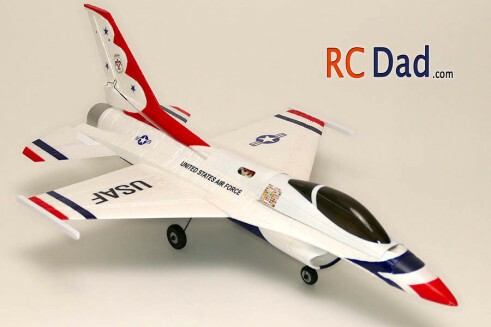 This scale looking mini rc jet is rocking the Air Force Thunderbird paint scheme and comes packed with features normally only found on larger planes like a brushless motor, landing gear with steerable nose wheel, scale appearance (especially while in the air), and AS3X 3-axis stabilization. This plane is quick and handles surprisingly well for its light weight and small size. It likes to be flown in calm winds and cruises nicely at around 50% power. The glide slope ratio is good considering it’s small wings. 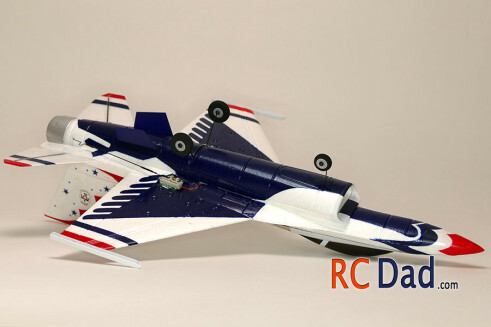 It slows down nicely for landing thanks to its full-flying horizontal stabilizers which act as Tailerons. This is a combination of elevator and ailerons so you get the functionality of a 4-channel plane. 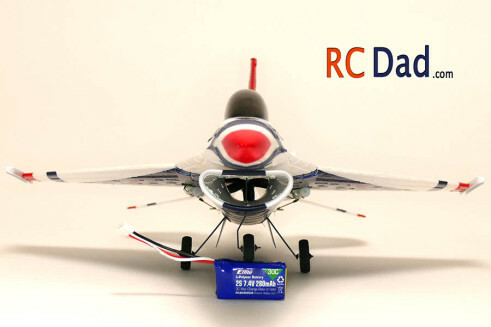 It’s powered by a brushless 13500Kv motor which provides plenty of power for this small rc jet. If this is your first time flying an rc jet (especially a small one) then be careful with the slight delay in acceleration. Prop planes tend to dish out a ton of power instantly while ducted fan planes need an extra second to build back up momentum. I think you should get the umx BNF F4u Corsair. GREAT bind n fly plane. Looks like a beauty in the air and it flies like a full scale! It has as3x too! when are you going to post the t28 trojan vid? ive been waiting a loooong time for the review. Almost done, I have some of the flight video you can preview here: https://www.youtube.com/watch?v=LxKmg6azIVc but I’m still mashing the other clips and audio. Editing is a pain! It’s been cold and windy so getting a good day to fly has been a challenge. I saw your video on the F16 and it’s very impressive. I’ve not had much luck with it & have the acceleration issue you mention. It does not seem to get enough power at all. Even after several attempts, it won’t take off, will struggle for a while & drop. 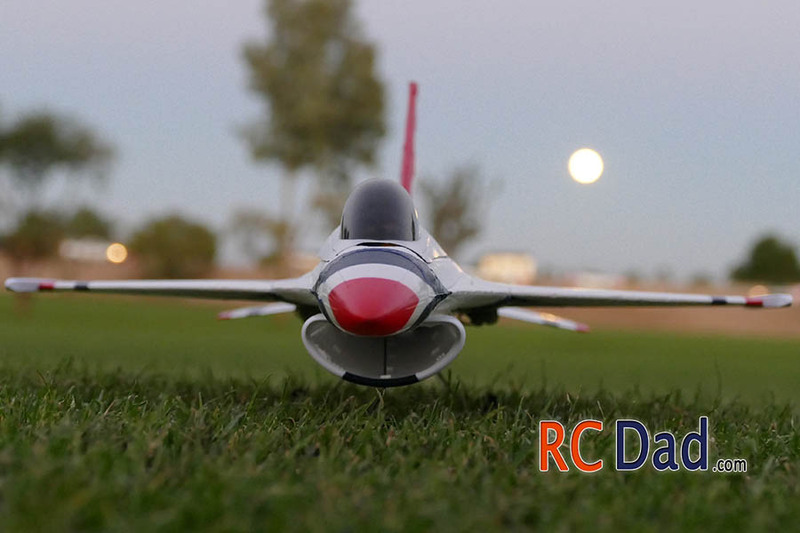 Need to mention that I don’t have a runway (it’s all grass) in the field, have to do a hand launch. I’ve seen videos of people doing a simple hand toss. Not sure what I’m missing. I’ve tried to set the throttle at 30%, 50% & 75%. but still fails to stay up. My last attempt ended in a bad crash. I’m in the process of gluing it back & hope to learn from my mistakes. Every ducted fan jet that I’ve flown has always needed nose up trim. I usually put in extra nose up trim on my first flight because correcting for too much trim up is a lot easier and less scary. Jets don’t stall like prop planes so I’ve never had a problem with them tip stalling on take off. You mentioned that you set the throttle up to 75% when hand launching. I would really take it to 100% then drop it back down once it builds up enough speed. 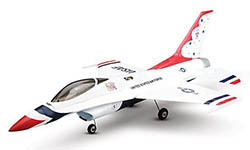 Jets, especially this little f-16 don’t have good acceleration so it takes longer for them to get up to speed. If you watch right after I hand launch it, it mushes around for a little while building speed and slowly climbing. 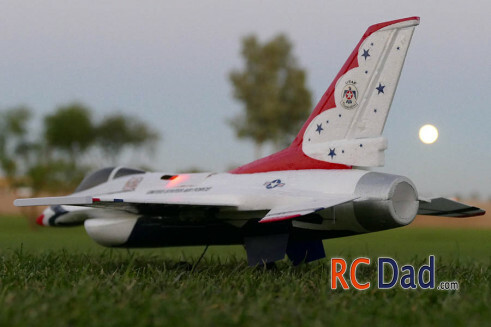 Taking off from any surface with this F-16 is really hard unless is super smooth. I have taken off from asphalt but I needed a lot of runway. You shouldn’t need any adjustments in your radio. I would just make sure the controls are moving in the correct direction. Look at the video and notice the elevator around 7:30. That’s how much up trim I added before the flight and it worked out pretty good. And remember, give it tons of power on take off.